The secret to exceptional coffee lies in the preparation. Jura has perfected the espresso brewing process, allowing the E6 to make speciality coffees to professional barista standards. The six level grinder ensures that coffee beans are ground quickly yet gently to preserve the aroma. The pulse extraction process optimises the extraction time and guarantees the best aroma even for short speciality coffees, and with eight different intensity levels, coffee lovers can customise their brew just the way they like it. Incredible coffee in your own home. It is so easy to use, clean, maintain etc. We are so happy with our purchase. I think it is a very good investment if you are a coffee fanatic. I understand the hype around a Jura. 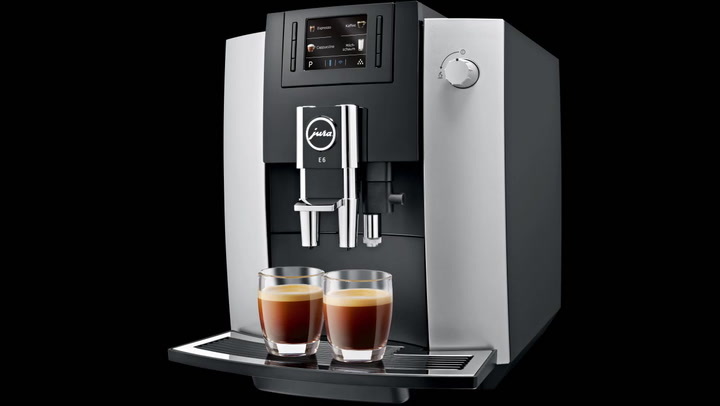 This is just the best machine — it makes a really good coffee, so easy to use and even though it sounds expensive it is such a quality machine that makes a quality cappuccino espresso and filter coffee.